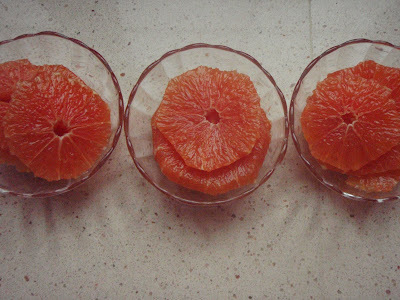 These are Cara Cara oranges. 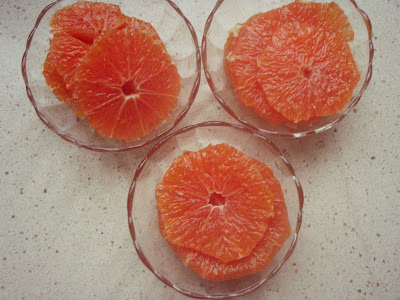 They are a true navel orange only sweeter and less acidic. They are usually available January to April. Isn't the color beautiful? It is kind of rosy, a similar color to a ruby red grapefruit. My family loves these. I frequently serve them just like this, as a side dish with nothing added. We also eat them with Fennel or Avocado slices. Try them before they are gone! !